Earn your Boy Scouts of America Scuba Merit Badge with Sugar Land Dive Center. We offer the PADI Open Water Diver Course specifically tailored to Boy Scout groups working towards the Scuba Merit Badge. Sugar Land Dive Center has two registered Merit Badge counselors on staff. With group rates and flexible class schedules including day classes for all Boy Scout Troops, we make it easy to fit your PADI Openwater Certification into your schedule. Sugar Land Dive Center also offers First Aid and CPR/AED training in order to meet the Scuba Merit Badge First Aid requirements. If you have a group that has already earned their Openwater Scuba Certification, we can help you complete the additional requirements to obtain the Merit Badge. For more information on all the Boy Scout programs we offer please give us a call at 281-240-3483 or email Chris@sugarlandscuba.com for more details. 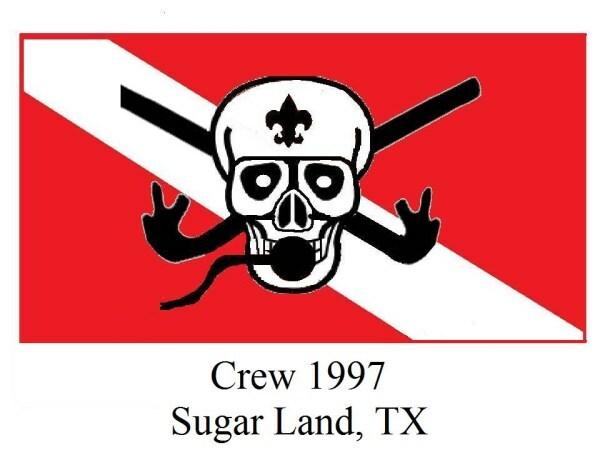 Sugar Land Dive Center proudly sponsers Scuba Venture Crew 1997. The Venture Crew is open to all young men and women aged 14 - 21. We host monthly activities including fun dives, scuba classes, camp-outs, educational seminars and much more. Next Crew activity is Sunday, May 3, 2015. We will be conducting a pool party and Discover Scuba Dives for non scuba certified Crew Members and friends. The event will start at 3:00PM and run until 5:00PM. Please call to to RSVP and you do not have to be a Crew member to attend this event.